I guess you can't go wrong talking about immersion because this post received far more hits than we normally get around here. It is basically just me thinking out loud about some setting design principles I've used over the last few years to help maintain immersion while emulating genre. You can read the post HERE. 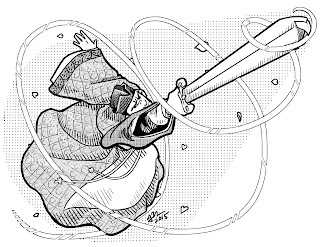 This was a post about how dungeons fit into wuxia campaigns. 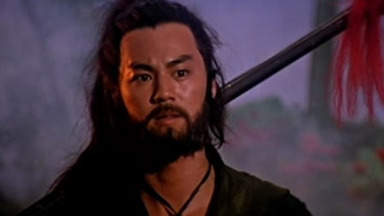 It came about because I realized it's easy it is to overlook the presence of dungeons in wuxia film and television shows. So GMs, myself included for a while, might be inclined to avoid them in a wuxia setting. 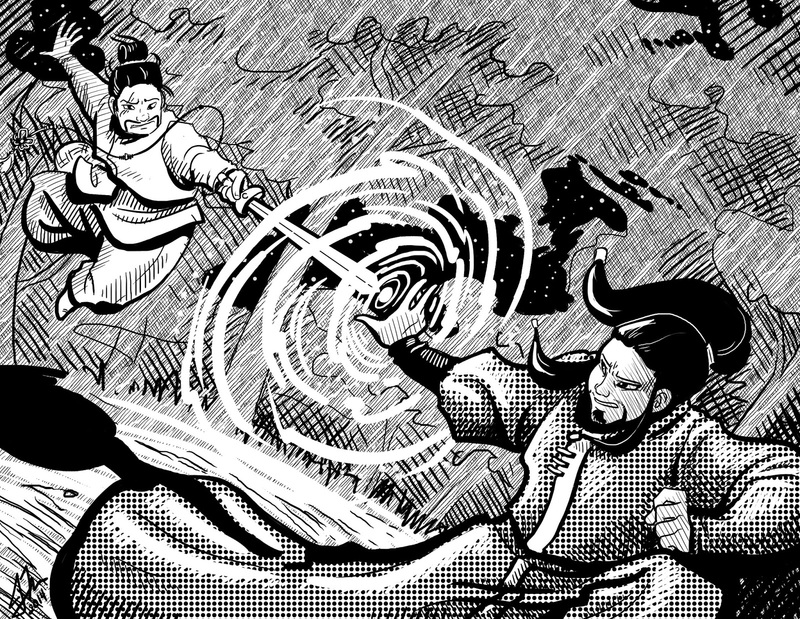 I found that they are both a regular features of wuxia and a great fit in a wuxia campaign. You can read the post HERE and the follow-up HERE. 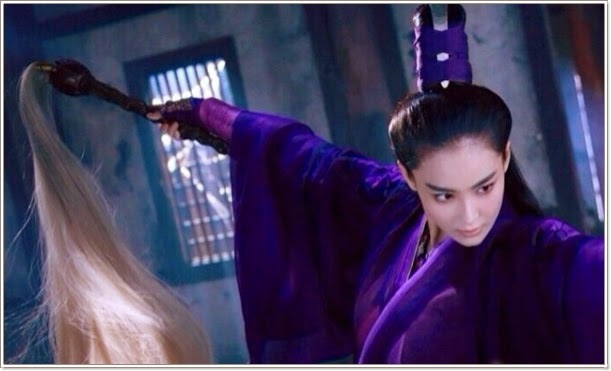 I do regular wuxia reviews on the blog when I have to time to write them. 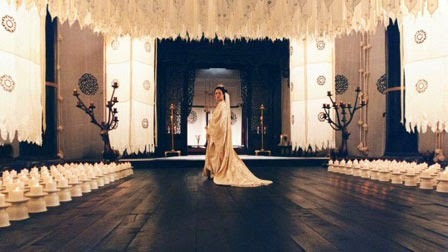 This was my review of the classic movie Intimate Confessions of a Chinese Courtesan. You can read the review HERE. 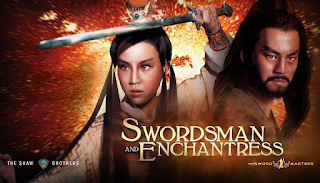 A somewhat unusual wuxia movie. You can read my review HERE. 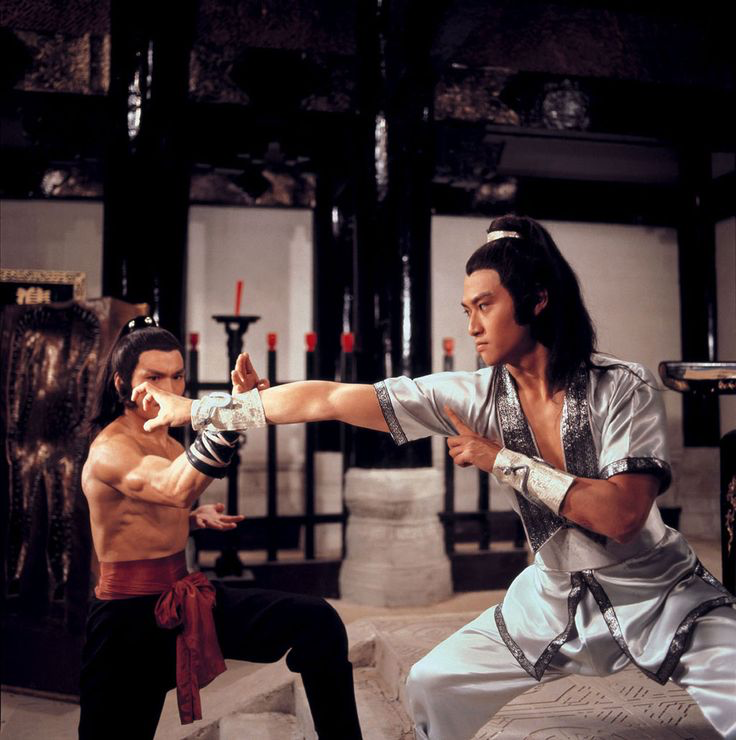 My review of one of the most famous martial arts movies ever made. Appropriately it is the 5th most popular post this year. You can read it HERE. If you follow the blog, you know that I like History and occasionally write about history books and resources. This is my argument for the utility of the Historical Atlas. Read the post HERE. One of my favorite wuxia movies, I did a review of The Bride With White Hair earlier this year. You can read it HERE. I guess people are pretty excited about the Marmoreal Tomb because this interview was quite popular. You can read it HERE. I like characters who have an impact on the world. 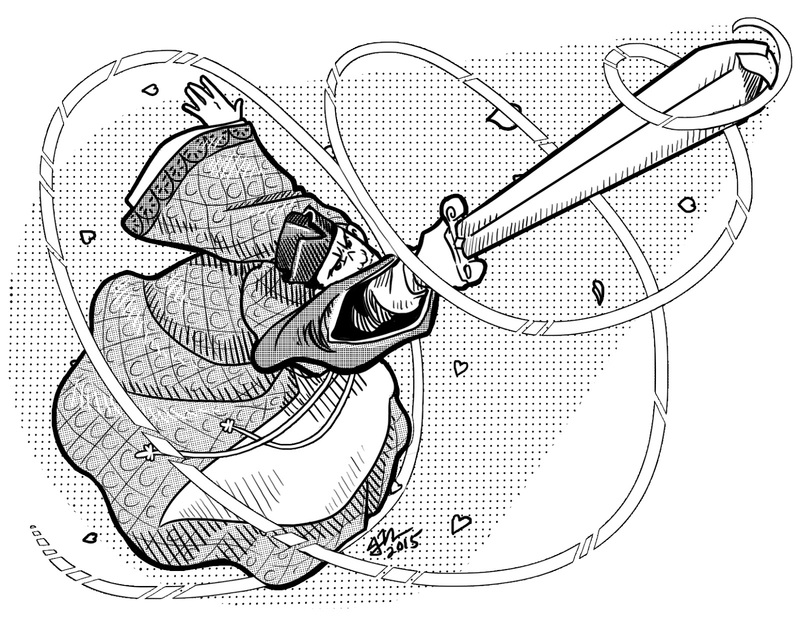 And I especially like characters who smash things. You can read my thoughts on the subject HERE. I usually do one or two villain posts a year. For some reason this one got more hits than usual. You can read the post HERE. When I was in high school, I played guitar in a metal band. When we started, we wanted to be somewhere between Megadeth and Deicide. But we drastically changed our sound after the singer and I heard bands like Solitude Aeturnus, Cathedral and Candlemass. From that point on, wanted to play doom. Following the breadcrumbs in the album sleeves led me back to Saint Vitus and other early doom pioneers. So when I heard the album Absolution by Khemmis, I felt the urge to write a review because it brought my mind back to those days. 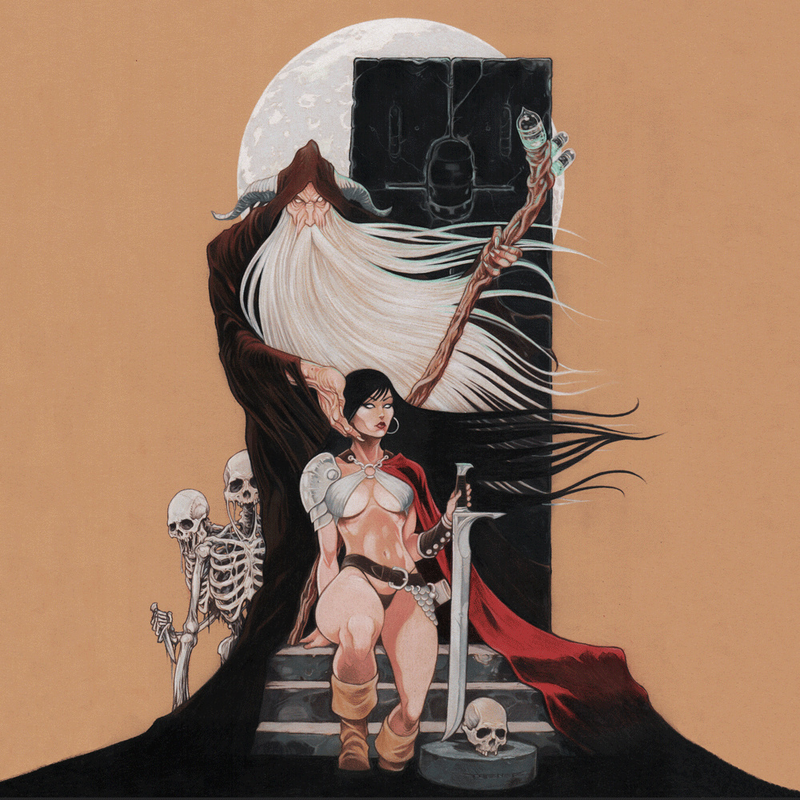 Khemmis reminds me of the best elements of that period spanning the early 80s to early 90s but still feels fresh and vital. For me, good doom makes solid use of guitar melody and finds a slow powerful groove. That is easier said than done. Given the frequently gravelly nature of the vocals, the groove can take you into muppet-like territory if you are not careful, and the plodding pace can get boring or repetitive if the riffs don't evolve and keep the listener's interest. You have to be able to hear at least a trace of Sabbath but the best bands don't just repeat what Sabbath did. From the first to last track Khemmis' album Absolution doesn't seem to have a single misstep. They honor the past but are not repeating it. It is filled with powerful harmonies, heavy riffs and a great blend of natural vocals with the occasional growl. I haven't been struck by a band like this for a long time. It is the kind of album that takes you on a journey. The six track album opens strong with heavy power chords and clean melodies in Torn Asunder. The opening vocals are natural sounding, reminding me a little of Robert Lowe's early work for Solitude Aeturnus. They are very different singers, but there is something similar in their styles. It's got an honesty to it. I like it, it is an unpretentious and pleasing sound, and it compliments the guitar well. There are growls from time to time as well, but that doesn't seem to be the predominant technique. They use it like a good tool to compliment the overall sound. The second track, Ash, Cinder, Smoke is a reminder of how melodic doom can be while still keeping power and heaviness. I love the tone of the lead guitar on this one in the opening melodic line. I think it is the most memorable track on the album. It is a very smooth, deep and ethereal sound but still has power. The remaining tracks are all well done. Serpentine has a nice crunchy opening and is a bit more on the Cathedral end of the spectrum (at least as far as guitar work is concerned). A lot of the riff work has that vibe to it. Burden of Sin picks up the pace a bit and leads nicely into the very melodic final track, The Bereaved. I don't know what it is about this album but it is the sort of release that can make you fall in love again with a particular style of music. There are definitely sounds of newer doom here, but as someone who grew up on the earlier bands, this feels like it has that original spark. It isn't just repeating the past, even if it is rooted in it. There are traces of many bands in the sound but for me it feels like blend of Iron Maiden melodic sensibilities, the dour riffs of Cathedral's debut album and the epic aspirations of Trouble and Solitude Aeturnus. There is also a bit of sludge, but the melodies and the vocals help keep that from getting too down in the muck. Doom can get stale easy and this is the one of the most vital doom albums I've heard since I first started listening to the style. But it isn't just a retread or aping older stuff...it is more like they are picking up at an earlier point in time. For me this was a very strong listen, something that made me want to go dig through all my old albums and listen to see where their inspiration may have come from. It just has a really well blended sound that ties the album together but never gets dull. If you liked any of the early doom bands but want something new that looks like the start of something special, Khemmis is a definitely worth checking out. Absolution is available on iTunes or you can check it out at he band's website.